Those are just a few of the phrases you’ll hear thrown out in the last round of the Semi-Annual Corn-Toss tournament held between several CCRCs in Indiana every spring and fall. This is one of many multicommunity events that NIFS fitness center managers put on every year. Sometimes events are competitive (such as corn-toss, water volleyball, or pickleball), and sometimes they are more educational (wellness seminars). A lot of coordination is involved (scheduling, transportation, food, and so on), but it’s always worth it! 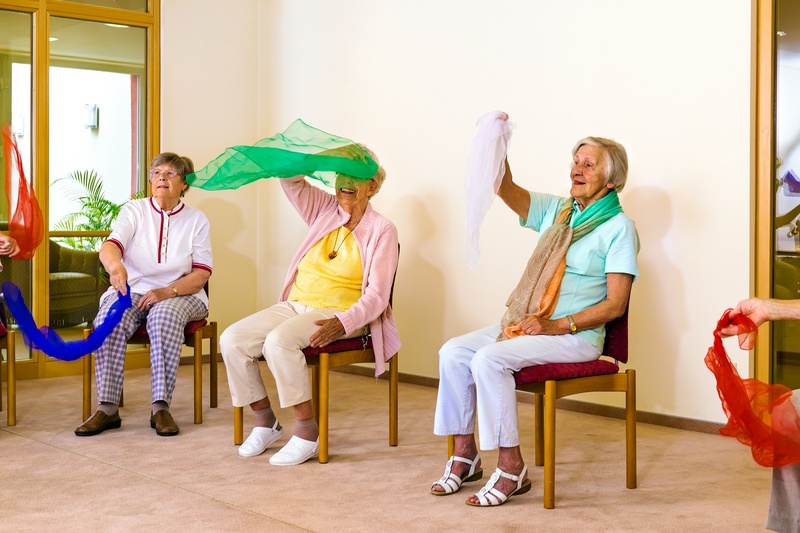 Here are some of the ways the residents reap the benefits of collaborative programming with senior living communities outside of their own. 1. It’s an opportunity to make new friends. 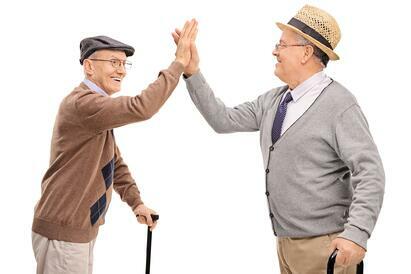 It seems like making new friends only gets tougher as we get older. With social media, email, and easy modes of transportation, it’s so easy to keep up with the friends and family we already have in our lives, so why would you bother meeting anyone new? 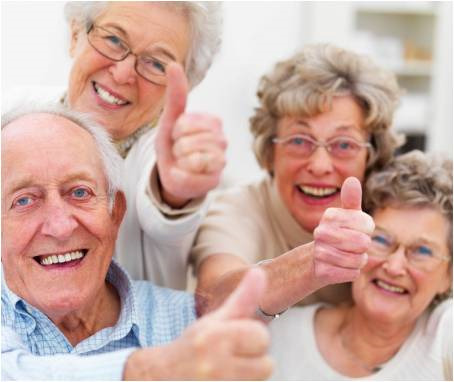 Study after study has shown that a healthy social life has amazing, positive effects on lifespan/longevity and quality of life. Collaborative programming between communities creates a situation that facilitates new friendships because residents already know they have something in common. If everyone in a room is playing in a Euchre tournament, a resident can guess that the person sitting next to them at the table enjoys playing cards. Voila! Easy icebreaker! It’s also fun to see residents who consistently participate really getting to know each other. They start to make friends with residents at new communities, but also with neighbors who perhaps they hadn’t really known. 2. Staff can share ideas while residents experience a new way of learning. 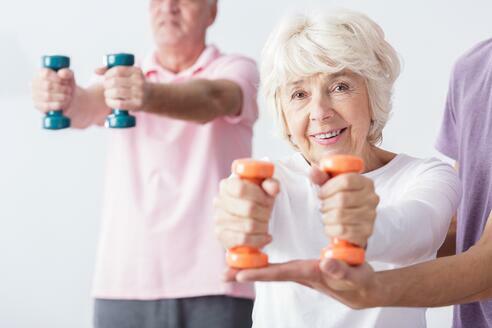 As fitness staff, we spend a lot of our time trying to teach people about how to be healthy. We give advice about fitness and nutrition and staying active, but after a while, it can start to sound a little like a broken record. For residents, hearing about the same health/fitness topics from the same people means sometimes it’s in one ear and out the other. These collaborative events provide a great opportunity for residents to learn from someone else who has a different teaching style. Sometimes, hearing the same good information presented in a new way can be all it takes to make the advice “click” for a person. This doesn’t hold true for everyone, but at many communities, competition drives participation. If residents know they are practicing for a tournament against a “rival” community (however they may define that), they might be more interested. This not only means more participation on the day of the competition, but also leading up to the competition. And who knows, maybe during one of those practice sessions residents will see a bulletin board for your next fitness incentive and decide to sign up for that, too. 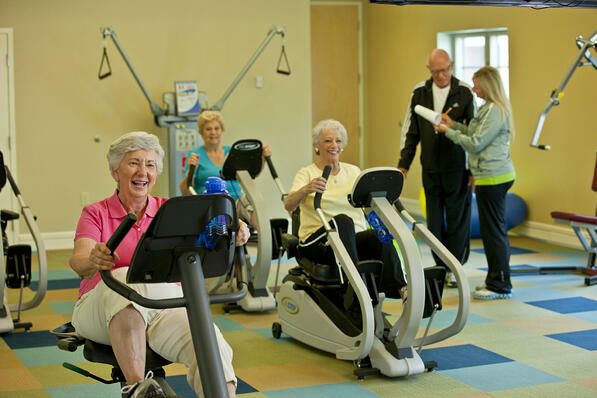 Multicommunity programs are fun and educational, and build camaraderie among residents. Whether informative or competitive, they are a great opportunity to learn from each other and about each other, and they always lead to a fun time. Does your community regularly participate in collaborative programming with other communities?